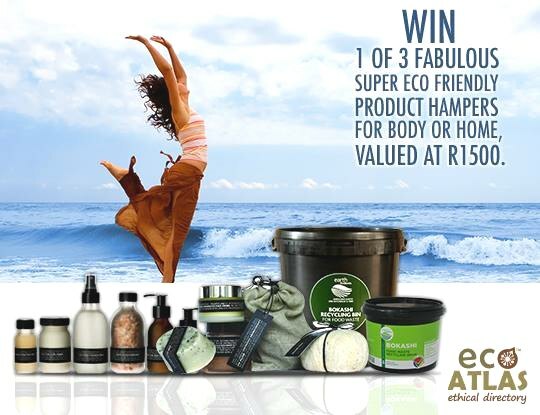 Eco Atlas South Africa is conducting a promotional campaign for green products or places, and there are various prizes up for grabs. The world as we know it is changing fast now, with the use of instant messaging, live chats and all the information we constantly have at our fingertips with just one tap on a touch screen. There are also rapid and radical changes happening both socially and with the natural systems of this planet we call home. We know about these changes, from climate change to biodiversity loss, to large scale unemployment, inequality and an extinction rate of animals that we have not yet seen in our history. It is overwhelming and one response to the doom and gloom is pure denial and a continuance of the status quo. 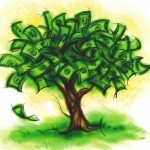 But there is another response, which is the impetus to take positive action in small steps on a daily basis. These actions taken by many could change our present trajectory and create a vibrant and viable future for all life on Earth. So, how do we practically take these steps in our daily lifestyles? 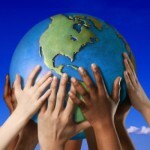 We start by asking the right questions and informing and empowering ourselves with the knowledge to make a difference. Is the hotel you’re staying at recycling, if not why not? Is the restaurant you’re eating at serving food from ethical sources and paying their staff a living wage? Does the grocer you love to shop at source his produce from local suppliers? These are questions we should be asking when deciding where to eat, play and stay when we’re at home and when we’re abroad. And then we need to take action by voting with our wallets and supporting the places with practices that are good for both people and the planet. When many people start voting with their wallets for the ethics they believe in it becomes a powerful movement of positive change. And the truth is there are so many fantastic places in South Africa that are walking the talk with efficient use of resources, community upliftment, staff empowerment, ethical sourcing of food and waste reduction. From city hotels like Hotel Verde to rural lodges like Bulungula on the Wild Coast, there are shops, activities, products and people doing amazing feel good things. Find them, ask questions, support them and together we can change the world, starting today. Wouldn’t it be nice to be recognised for being proactive? Enter our #EcoFeelGood competition by shining a light on the people and places that are earth friendly and ethical and you could be rewarded for making a difference. 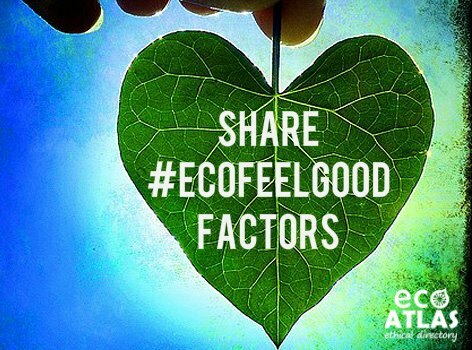 Let’s get this eco ethic revolution rolling by sharing #EcoFeelGood Factors! Search for a place or product you know on Eco Atlas. Write a review of the place or product. Share your review on Facebook using the share button on the review page, tag @Eco Atlas and say why it gave you the #EcoFeelGood Factor. For more details see here. First Prize: A range of Sassui skincare products valued at R1 000 tailor made to the specific needs of your skin type. The Sassui spirit & skin care range is handmade, preservative free, environmentally friendly, only tested on human bunnies and utterly luxurious and sumptuous for your skin. Second Prize: A hamper of fully biodegradable and locally made cleaning products with extract of orange peel, they work well, smell delicious and are good and safe for you, your family and your ecosystem. Valued at R300 from the Clean Shop. 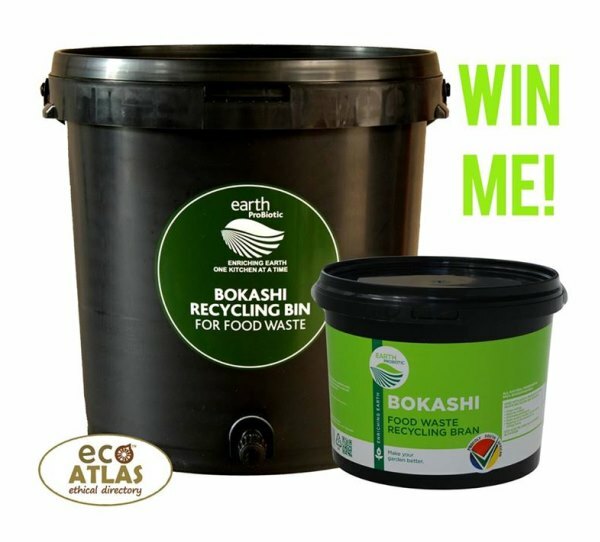 Third Prize: Compost all your organic kitchen waste with a highly efficient Earth ProBiotic food recycling kit and turn waste into worth! The kit includes the airtight container and the probiotic Bokashi altogether valued at R200, you won’t be sending anymore organic gold to the landfill!